Sunday, 11/4: Rehearsal, 2pm-4pm, St. James Brethren + Jazz Band Rehearsal, 4:15pm-5:30pm---Change your clocks! Mrs. Kunkle is retired from the Washington County Public Schools as Music Resource Specialist. She has 30 years experience in elementary and secondary vocal and instrumental music. She was the director of bands at Williamsport High School for 13 years, where her concert band, wind ensemble, jazz ensemble and marching band consistently received excellent and superior ratings at national and international festivals. 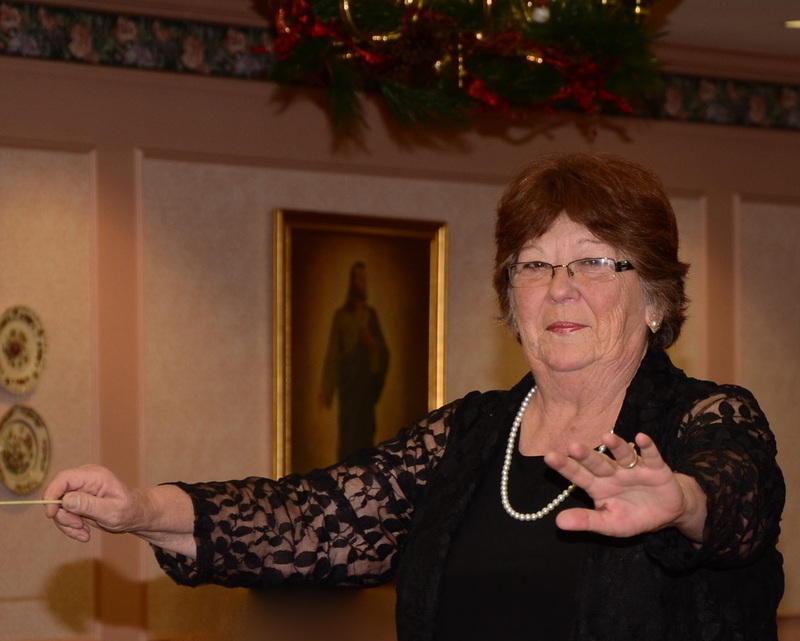 She also served as a concert band director for student European tours for 15 years. Mrs Kunkle has served as guest conductor, clinician and adjudicator in Maryland, Virginia, Pennsylvania and the District of Columbia. Mrs. Kunkle is a graduate of Frostburg State University with a Bachelor of Science in Music Education. Her graduate work was done at Shippensburg University (PA) in Administration and Supervision. Mrs. Kunkle was the recipent of the Washington County Excellence in Education Award. She is a member of the Music Educators National Conference and has served two terms as the Western Region President of the Maryland Music Educators Fine Arts Education Advisory Panel. She has been the recipient of the MMEA Outstanding Music Teacher Award for the Western Region. Mrs. Kunkle is married to Mr. Noel T. Kunkle. Mrs. Kunkle is honored to be able to conduct the Williamsport Community Band that is part of a town that is very dear to her. YOU are invited! Mark your calendars! ​We are proud to host the 2017 Maryland Community Band Festival. Two days of Maryland Community Bands. Saturday's first band performs at 12:00 NOON, concluding with the last band performing at 5:00 PM. 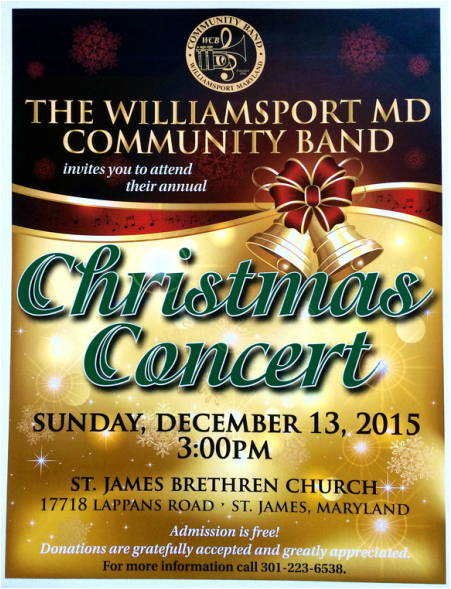 Sunday's first band performs at 1:00 pm and the last band of the day, Our Williamsport Community Band performing at 6:00 PM. Each band's concert starts at the top of the hour. 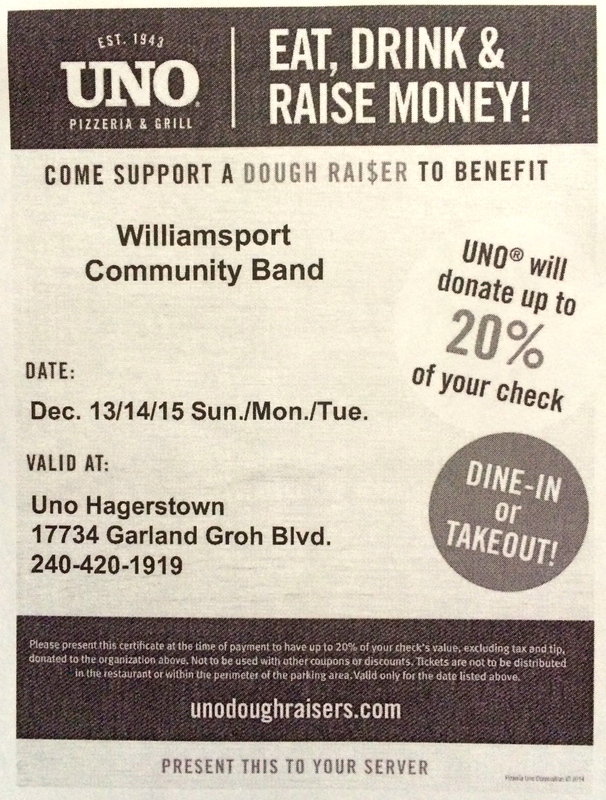 FUNDRAISER: On December 13, 14, 15, 2015, eat at UNO Hagerstown and 20% of your bill will go to the Williamsport, MD Community Band. Bring yourself, an instrument, and a music stand. Hope to see you there! Thank you to all that attended and supported the Williamsport, MD Community Band Money Bonanza on March 21, 2015 held at the Red Men. A special thank you to Desert Rose in Williamsport, MD for donating the cupcakes for the event. They were scrumptious! Please check them out at 42 N. Conococheague Street Williamsport, MD 21795. 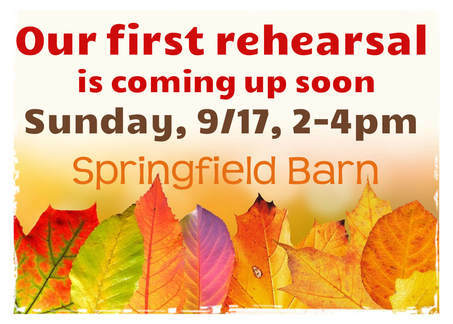 9/28 - Rehearsal 1:00 - 2:30 Barn <------- new time set because of an event in the barn during our regular rehearsal time. Exciting news! SAVE THE DATE﻿ The 2014 Maryland Community Band Festival in Williamsport, MD on June 8, 2014! The Williamsport, MD Community Band will host the Maryland Community Band Festival in Williamsport, MD this upcoming summer. The date for the festival is Sunday, June 8, 2014. More details coming soon. Mark your calendars for a full day of music entertainment and fun activities for the whole family. Event to be held at the historic Springfield Barn. Maryland Community Band Day Festival in Williamsport, MD. If you were not in the area to attend the tribute concert for Mr. Harry E. Kight, you may order a CD of the concert. To order a CD of the Tribute Concert, please follow the directions on the form. If you would like a copy of the form sent to you via email, please email us at WilliamsportCommunityBand@gmail.com. Thank you. *Send information and payment to Greg Latta 134 Frost Ave. Frostburg, MD 21532. Please include # of CD sets you are ordering times $15.00 plus $4.00 for shipping for a total of $19.00 per CD set. A one time, limited production run is all that will be produced, so it is important to order all the copies soon. Orders are due within the next week. Mr. Harry E. Kight was the founding director of the Williamsport (Md.) High School “Blue Band,” and over 28 years built the program into a national powerhouse with award-winning concert, marching and jazz ensembles, winning awards throughout the mid-Atlantic region as well as in Texas and Florida. Mr. Kight, 89, of Deep Creek Lake, MD, and Severna Park, MD, passed away on April 15, 2014, in Severna Park after a courageous battle with lung cancer. 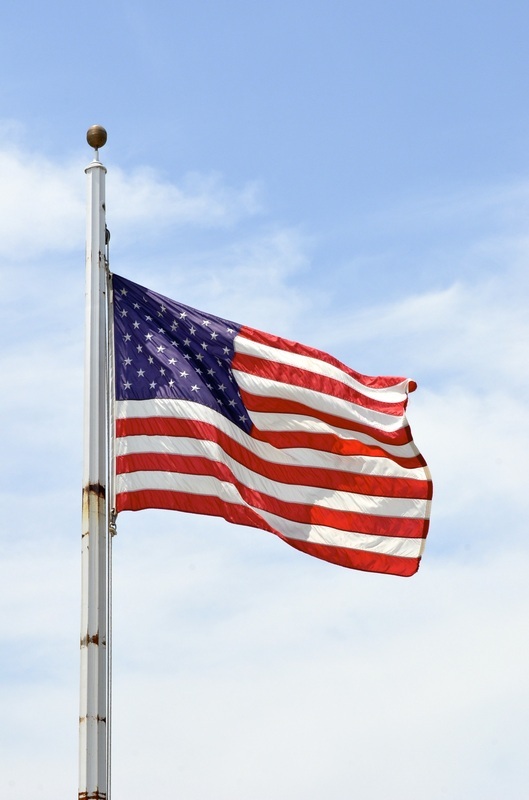 (Emmitsburg, MD) – On Sunday June 30th at 4pm, the Williamsport Community Band will be performing a special concert at the Basilica of the National Shrine of Saint Elizabeth Ann Seton in Emmitsburg, Maryland. The 75-member band, under the direction of Susie Kunkle, will be joined by the Metropolitan Detroit Michigan Chorale, under the direction of Pasquale A. Pascaretti. The Williamsport Community Band and the Metropolitan Detroit Michigan Chorale will be showcasing vintage Civil War music. Exactly 150 years before, on June 30, 1863, the Union Army was encamped in Emmitsburg. The Union troops marched to Gettysburg the next day, and engaged the Confederates at the Battle of Gettysburg. The June 30th concert is free, and will be performed inside the Basilica of the National Shrine of Saint Elizabeth Ann Seton. The concert takes place during the three-day Community Days commemorations of Emmitsburg (June 28-30). The three-day event will include several activities on the grounds of the National Shrine of Saint Elizabeth Ann Seton. The events will include tours, living historians, Civil War-era venders, and crafts. For more information about the National Shrine of Saint Elizabeth Ann Seton, see:www.setonheritage.org. The address is: 339 South Seton Avenue, Emmitsburg, MD 21727.